Please download the latest bulletin to keep up to date with what is going on at Christ Church. Click here for the Church Diary and Rotas. To find who is leading the services, please download the our team ministry rotas from Holy Trinity’s site. Note: On Palm Sunday, 14th Apr, we gather at Christ Church at 10:15 am and we will have a procession from Christ Church to St. John the Divine, High Path. The Sunday service us at St John the Divine starts at 10:45 am. There is no 11:15 am service at Christ Church on 14th Apr. Explore our services during the Holy Week from our Lent Leaflet. We invite you to join our services for Mothering Sunday, Holy Week and Easter. 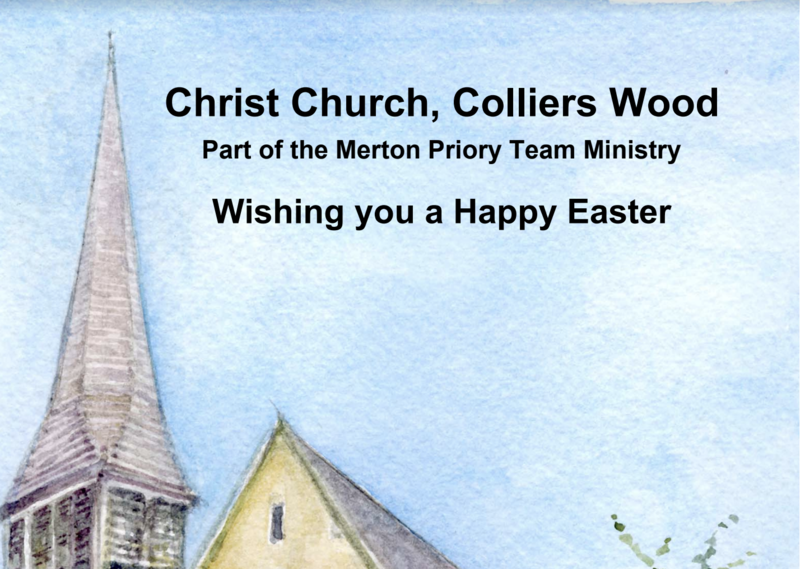 Please download our Easter Card. At the launch events, on 19 April, Merton councillors from all major parties pledged to support these goals. The Merton Priory Team Ministry has a Mission Action Plan, including Objectives for each Church and for the Parish as a whole. To open up Christ Church as a centre of welcome and hospitality for our community. To provide a safe place for prayer, reflection and Christian practice. For more details, download the full Mission Action Plan. On Saturday 29th September a number of people from Christ Church joined members of the congregations from St Joseph and St Boniface Catholic Churches as well as people from other faith traditions to raise funds for an Orphanage in Kerala, India. Discover more.